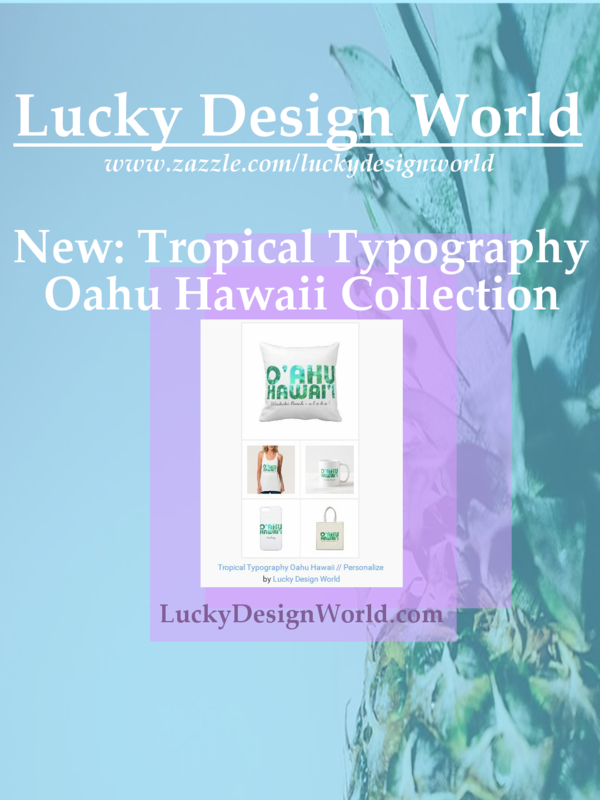 This is a brand new + bold collection featuring a contemporary typography design that showcases the tropical palm trees and big blue sunny sky of the Pacific Island of Oahu! Personalize any of these designs with your name, names of couples, friends, or add your own message like : “Waikiki Aloha!” Wear this trendy design all summer or whenever/wherever you want to have Hawaiian Aloha Lifestyle present in your life! Oahu is the location of Hawaii’s state capital – Honolulu. Home to the iconic – Waikiki beach. The island of Oahu is sometimes called “The Gathering Place”. This design is a fun summer and cheerful design. It’s meant for anyone who enjoys the culture of Hawaii & those who want to have a unique souvenir of their travels there. Some important elements to note of the design. It’s written in the traditional Hawaiian way: “O’ahu Hawai’i”. It’s features breezes palm trees & a bright blue sky. It also radiates a fun bright blue green shade as if it could be filter from sunnies! Underneath is where you can add your own message. If you don’t want the message portion and just want the design, that’s ok too. Just click on “customize” and delete. Remember – This design is part of a template. Add your names & date. Or make your own message. Some ideas could be : add your own name, add your message “Family Vacation” , “Fun Memories” , “Fun in the Sun – 2017“, etc. That’s the fun part – you make it yours or you make someone a great gift! This design is an ideal template. It’s easy to use. Add your information + your done! Re-size, rearrange, adjust as needed. but it’s also available in many other styles! Next PostNext New Color Choices for Aloha Mahalo Trucker Hats at the Store!